Enrollment, randomization, and follow-up of participants in the Women's Antioxidant Cardiovascular Study. BC indicates beta carotene. 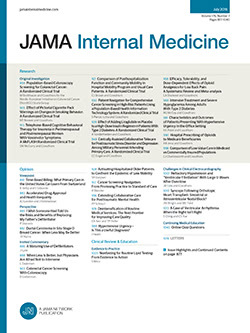 Cumulative incidence of major vascular disease (myocardial infarction, stroke, coronary revascularization, or cardiovascular death) by randomized antioxidant intervention (A, active vitamin C [ascorbic acid] vs placebo; B, active vitamin E vs placebo; and C, active beta carotene vs placebo) in the Women's Antioxidant Cardiovascular Study. P value is from the log-rank test. CVD indicates cardiovascular disease. Relative risks (RRs) and 95% confidence intervals (CIs) of major cardiovascular disease (CVD) by 8 combinations of all 3 active antioxidant assignments relative to the all placebo group (A) or of stroke by combinations of active vitamin C (ascorbic acid) (VC) and vitamin E (VE) assignments relative to the groups with placebo VC and VE (B). BC indicates beta carotene. Methods The Women's Antioxidant Cardiovascular Study tested the effects of ascorbic acid (500 mg/d), vitamin E (600 IU every other day), and beta carotene (50 mg every other day) on the combined outcome of myocardial infarction, stroke, coronary revascularization, or CVD death among 8171 female health professionals at increased risk in a 2 × 2 × 2 factorial design. Participants were 40 years or older with a history of CVD or 3 or more CVD risk factors and were followed up for a mean duration of 9.4 years, from 1995-1996 to 2005. Several randomized trials have now examined the effects of these antioxidants, and results have generally been disappointing.13 However, to our knowledge, no trials have examined the effect of ascorbic acid (vitamin C) on CVD, except as part of an antioxidant cocktail. The Women's Antioxidant Cardiovascular Study (WACS) was designed to test the effect of 3 antioxidant agents, ascorbic acid, vitamin E, and beta carotene, on prevention of CVD among women at high risk. It used a factorial design, enabling a comparison for each agent alone as well as interactions among them. The WACS is a randomized, double-blind, placebo-controlled trial evaluating the effects of vitamin C (500 mg/d of synthetic vitamin C [ascorbic acid], provided by BASF Corporation [Mount Olive, New Jersey]), vitamin E (600 IU of natural vitamin E [d-alpha tocopherol acetate] every other day, provided by Cognis Corporation [La Grange, Illinois]), and beta carotene (50 mg of Lurotin every other day, provided by BASF Corporation) in the prevention of important vascular events in a 2 × 2 × 2 factorial design among women at high risk with either a history of vascular disease or at least 3 cardiovascular risk factors. In 1998, approximately 2 to 3 years following randomization to the antioxidant arms, a folic acid–vitamin B6/B12 component was added to the trial, expanding it to a 4-arm factorial trial. This report describes the results of the 3 antioxidant interventions. Details of the design have been reported previously.14 Briefly, women were eligible if they were 40 years or older, postmenopausal, or had no intention of becoming pregnant, had a self-reported history of CVD, or had at least 3 cardiac risk factors. The cardiac risk factors determining eligibility were self-reported diagnosis of hypertension, high cholesterol level, or diabetes mellitus; parental history of premature myocardial infarction (MI) (before age 60 years); obesity (body mass index [BMI] ≥30 [calculated as weight in kilograms divided by height in meters squared]), current cigarette smoking; and inconsistent report of prior CVD. Women were excluded if they had a self-reported history of cancer (excluding nonmelanoma skin cancer) within the past 10 years, any serious non-CVD illness, or were currently using warfarin sodium or other anticoagulants. Potential participants also had to be willing to forgo individual supplements of vitamins A, C, E, and beta carotene at levels beyond the US recommended daily allowance during the trial. A total of 8171 women were willing and eligible, were compliant during a 12-week run-in, and were randomized into the trial from June 1995 through October 1996 (Figure 1). The trial was approved by the institutional review board of the Brigham and Women's Hospital, Boston, Massachusetts, and was monitored by an external data and safety monitoring board. Following randomization, every 6 months for the first year and then annually, the women were sent monthly calendar packs containing active agents or placebos, along with questionnaires on compliance, adverse effects, and medical events. Study medications and end point ascertainment were continued in a blinded fashion until the scheduled end of the trial. Pill taking for women not enrolled in the folic acid component ended as scheduled on January 31, 2005; women in the folic acid component completed pill taking on July 31, 2005. The mean follow-up from randomization to the end of study was 9.4 years (range, 8.3-10.1 years). Follow-up and validation of reported end points were completed in July 2006. A search of the National Death Index was conducted for all participants through December 2003; thus, mortality information was virtually complete through 2003. As of the scheduled end of the trial in January or July 2005, mortality follow-up was 93% complete. In terms of person-time, mortality information was complete for over 99% of person-years of follow-up. Morbidity status was known as of 8 years for 93% of survivors, and response to the final follow-up questionnaire among surviving women was 89%. Compliance was assessed through self-report and defined as taking at least two-thirds of study pills. Reported compliance was, on average, 76% at 4 years and 68% at 8 years of follow-up for each antioxidant, with no significant difference between active and placebo groups at these times except for ascorbic acid at 8 years (70% vs 67% in the active vs placebo group; P = .01). Mean compliance over follow-up was approximately 73% for all active and placebo agents. In 1999, blood samples were obtained from 30 local participants to evaluate biomarkers for compliance. Blood levels were elevated in each active vs placebo group (ascorbic acid, 1.88 vs 1.26 mg/dL [P = .007]; vitamin E, 20.19 vs 12.15 μg/mL [P = .007]; and beta carotene: 54.39 vs 19.52 μg/mL [P = .003]). Information was obtained on outside supplements of study medications for at least 4 days per month (“drop-ins”). Use of vitamin C supplements was approximately 10% at both 4 and 8 years and did not differ by intervention group. Use of vitamin E supplements was 13% at 4 years and 12% at 8 years, with no difference by randomized group. Use of supplements of beta carotene or vitamin A averaged 2% at 4 and 8 years, and did not differ by beta carotene assignment. When use of multivitamins containing more than 100% of the recommended daily allowance was included in the definition of outside use, rates were approximately 3% to 5% higher for ascorbic acid, 4% to 8% higher for vitamin E, and 1% to 3% higher for beta carotene, but again, did not differ by randomized assignment. The primary outcome was a combined end point of CVD morbidity and mortality, including incident MI, stroke, coronary revascularization procedures (coronary artery bypass grafting or percutaneous transluminal coronary angioplasty), and cardiovascular mortality. The individual components of MI, stroke, coronary revascularization, and CVD death were prespecified secondary end points. Information on transient ischemic attack and total mortality was also collected and reviewed. Women reported relevant end points through questionnaire, letter, or telephone call. Deaths were reported by family members or postal authorities or through the National Death Index. Written permission for medical records was sought from the participant or the next of kin in case of death. These were reviewed by an end points committee of physicians blinded to randomized treatment assignment. An MI was confirmed if symptoms met World Health Organization criteria,15 and cardiac enzymes or diagnostic electrocardiograms were abnormal. Coronary revascularization (coronary artery bypass grafting or percutaneous transluminal coronary angioplasty) was confirmed by medical record review. Confirmed stroke was defined as a new neurologic deficit of sudden onset that persisted for more than 24 hours or until death within 24 hours. Clinical information, computed tomographic scans, and magnetic resonance images were used to distinguish hemorrhagic from ischemic events. A confirmed transient ischemic attack was defined as a neurologic deficit of sudden onset that lasted less than 24 hours. Death due to a cardiovascular cause was confirmed by examination of autopsy reports, death certificates, medical records, and information obtained from the next of kin or other family members. Death from any cause was confirmed by the end points committee or on the basis of a death certificate. Only confirmed end points were included in these analyses, except for total mortality, which included 66 reported deaths with no death certificate. Primary analyses were performed on an intent-to-treat basis, including all randomized women. Baseline characteristics were compared by randomized groups using 2-sample t tests, χ2 tests for proportions, and tests for trend for ordinal categories. Kaplan-Meier curves were used to estimate cumulative incidence over time by randomized group, and the log-rank test was used to compare curves. The Cox proportional hazards model was used to estimate the relative risk (RR), expressed as a hazards ratio, along with the 95% confidence interval (CI). Models included main effect terms for each of the 3 antioxidants along with age. Tests of proportionality of the hazards ratio over time used an interaction term for treatment times the logarithm of time. To examine the impact of lack of compliance, a post hoc sensitivity analysis censored women if and when they stopped taking at least two thirds of their study medication, reported taking outside supplements containing study agents, or were missing compliance information. Statistical analyses were conducted using SAS version 9 (SAS Institute, Cary, North Carolina), using 2-sided tests with a significance level of P < .05. Interaction terms were used to test for additivity of the 3 antioxidant agents. All 2-way interactions as well as a 3-way interaction were tested, using multiplicative terms in the Cox model. In addition, we conducted subgroup analyses according to the presence or absence of major cardiovascular risk factors, including age, prior CVD, smoking, alcohol use, BMI, history of hypertension, high cholesterol level or diabetes, parental history of MI before age 60 years, menopausal status and hormone therapy use, and current multivitamin use. Tests for effect modification by subgroup used interaction terms between subgroup indicators and randomized assignment, with a test for trend for ordinal subgroup categories, or a multidegree of freedom test for unordered categories. Any significant modification of effect is described in the “Results” section. To convert ascorbic acid (vitamin C) to micromoles per liter, multiply by 56.78; to convert vitamin E to micromoles per liter, multiply by 23.22; to convert beta carotene to micromoles per liter, multiply by 0.01863. A total of 8171 women were randomized into the antioxidant arms of the trial, with a mean ± SD age of 60.6 ± 8.8 years. Of these women, 5238 (64%) had a prior cardiovascular event, and 2933 (36%) had 3 or more CVD risk factors. Mean ± SD BMI was 30.3 ± 6.7, and 1269 women (16%) were current smokers, 1564 (19%) had diabetes, 6137 (75%) had a history of hypertension, and 5950 (73%) had a history of high cholesterol level at baseline. There were no statistically significant differences in baseline characteristics between the randomized groups, except history of high cholesterol level for the beta carotene groups (Table 1). During the mean 9.4-year follow-up, 1450 women experienced a confirmed CVD event, including 274 MIs, 298 strokes, 889 coronary revascularization procedures, and 395 cardiovascular deaths, with some experiencing more than 1 event. A total of 995 women died during follow-up. There was no effect of ascorbic acid on the primary combined end point, with a RR of 1.02 (95% CI, 0.92-1.13) (P = .71) (Table 2). Cumulative incidence curves showed no variation of the effect over time (Figure 2), and the test result for proportionality of the RR over time was not significant. Individual components of the primary end point also did not differ significantly, although there was some suggestion of a benefit for ischemic stroke. When participants were censored on noncompliance, results were similar (RR, 0.95; 95% CI, 0.83-1.09 [P = .47]). There were no significant effects of randomized ascorbic acid on the primary end point in any cardiovascular risk factor subgroup considered (Table 3). No differences were seen in the primary end point by randomized vitamin E assignment (RR, 0.94; 95% CI, 0.85-1.04 [P = .23]) (Table 2 and Figure 2), with no significant variation in the relative risk over time. We found a nonsignificant 16% reduction in total stroke, with a 21% reduction in ischemic stroke (P = .06) and an increase in hemorrhagic stroke based on small numbers. There was an overall 10% reduction in the combination of MI, stroke, and CVD death, with a nonsignificant decrease (P = .08) in benefit over time. No difference in total mortality by vitamin E group was found. Censoring participants on noncompliance led to a significant 13% reduction in the primary end point (RR, 0.87; 95% CI, 0.76-0.99 [P = .04]). Reductions in secondary study end points were also stronger, with a 22% reduction in MI (RR, 0.78; 95% CI, 0.58-1.06 [P = .11]), a 27% reduction in stroke (RR, 0.73; 95% CI, 0.54-0.98 [P = .04]), and a 9% reduction in CVD mortality (RR, 0.91; 95% CI, 0.66-1.25 [P = .55]). There was a 23% reduction in the combination of MI, stroke, or CVD death (RR, 0.77; 95% CI, 0.64-0.92 [P = .005]). Among those with prior CVD, the active vitamin E group experienced fewer major CVD events (RR, 0.89; 95% CI, 0.79-1.00 [P = .04]; P value for interaction, .07) (Table 3). For beta carotene, there was no difference in the primary end point (RR, 1.02; 95% CI, 0.92-1.13 [P = .71]) (Table 2 and Figure 2), with no variation over time. There were no significant treatment effects on individual secondary end points. There was a nonsignificant 14% increase in CVD mortality in the active group, with a significant decline over time in the effect on CVD deaths (P = .04) but no difference in total mortality. When participants were censored on noncompliance, the effect on the primary end point remained nonsignificant (RR for major vascular disease, 1.09; 95% CI, 0.96-1.24 [P = .18]), but an increase in CVD mortality appeared to emerge (RR, 1.48; 95% CI, 1.08-2.02 [P = .02]). No statistically significant subgroup effects were seen for the primary end point. In particular, in the prespecified subgroup of smokers, we did not find any elevation in the risk of the primary end point (Table 3) or any of the individual components (data not shown). There were no significant 2- or 3-way interactions among the agents for the primary end point. The effects for each of the combinations of active agents compared with the group with all 3 placebos is shown in Figure 3. There were also no interactions for the secondary end points of MI or cardiovascular death. For stroke, we found a significant 2-way interaction between ascorbic acid and vitamin E (P = .03). Those in the active groups for both agents experienced fewer strokes compared with those in the placebo group for both agents (RR, 0.69; 95% CI, 0.49-0.98 [P = .04]) (Figure 3). We examined reports of bleeding (including gastrointestinal bleeds, hematuria, easy bruising, and epistaxis), of gastrointestinal symptoms (including peptic ulcer, gastric upset, nausea, constipation, and diarrhea), or of fatigue or drowsiness. There were no statistically significant differences by any of the randomized antioxidant groups except for a small increase in reports of symptoms suggestive of gastric upset among those in the active beta carotene group (2785 vs 2717 reports; RR, 1.06; 95% CI, 1.00-1.11 [P = .05]). In this large-scale randomized trial among women at high risk for CVD, we found no overall effects of vitamin E, ascorbic acid, or beta carotene on the primary end point of major vascular disease over a long-term follow-up of more than 9 years. These null results are consistent with the majority of trials of these antioxidants in both primary and secondary prevention. When combinations of agents were examined, there were no significant interactions, except for a possible reduction in stroke among those taking both active ascorbic acid and active vitamin E. In contrast to a recent meta-analysis of antioxidant supplements,16 we found no detrimental effects of any of these agents on total or CVD mortality. To our knowledge, no previous trial has considered the effect of ascorbic acid alone on CVD prevention. A few trials, however, have considered ascorbic acid as one component of an antioxidant cocktail but have found no benefit for CVD either in primary17,18 or in secondary19,20 prevention. Studies of atherosclerotic progression among patients with coronary disease21 or hypercholesterolemia22 have shown inconsistent results for combinations of vitamins C and E. The null results for the primary end point seen in WACS further limit enthusiasm for the role of ascorbic acid in cardiovascular risk protection. For vitamin E, the lack of effect in primary prevention is consistent with results from 3 previous intervention trials of vitamin E as a single agent.23-25 As in the Women's Health Study,25 there was some suggestion of an early effect of vitamin E in WACS (Figure 2), but this diminished over time and was null overall. We also found no evidence of an increase in total mortality at the 600-IU-every-other-day dose tested, as suggested for higher doses in a prior meta-analysis.26 We did find a significant reduction in the primary end point in the subgroup of women with prior CVD. Previous trials of vitamin E in secondary prevention have been inconsistent, with significant decreases in CVD found in 2 trials of shorter 1.4 years duration.27,28 Later and longer trials have generally not upheld this effect.27 Some found a reduction in secondary outcomes only,29,30 and another reported no effect at all in a combined high-risk primary and secondary prevention population.31,32 Meta-analyses of patients with prior CVD enrolled in these trials may provide additional insights as to whether there may still be a role for vitamin E in the secondary prevention of CVD. For beta carotene, we found no overall benefit or harm, a lack of effect that is consistent with studies using a similar 50-mg-alternate-day regimen.33,34 The Alpha-Tocopherol Beta Carotene Cancer Prevention Study23 and the Beta-Carotene and Retinol Efficacy Trial35 found some increase in total and cardiovascular deaths among smokers or those exposed to asbestos, but we found little difference in these end points. Compliance-adjusted analyses found some increase in CVD mortality, but these were not adjusted for time-varying risk factors associated with compliance and are more prone to bias than intent-to-treat analyses. Previous studies in secondary prevention had been small and inconsistent,30,36 and we found no evidence for benefit or harm in this prespecified subgroup. For vitamin E, there have been suggestions that gamma tocopherol is a more powerful antioxidant. Supplementation with alpha tocopherol depletes gamma tocopherol, which may explain the lack of effect seen in vitamin E trials.37 Single antioxidants may not reflect the complex vitamins and nutrients found in foods, which may explain the discrepancies between most intervention trials and studies of fruits and vegetables.38 Trials using an antioxidant combination, however, also have not shown a clear benefit for CVD.17-20 Questions concerning the complex nature of dietary effects on lipid peroxidation, however, are deserving of further study. Limitations of the trial include the lack of complete follow-up and compliance. Mortality information follow-up was virtually complete through 2003 and then 93% complete for the remaining 2 years. Overall, however, mortality follow-up as a percentage of person-time was over 99% complete. Although suboptimal, compliance in WACS over time is relatively comparable to several other trials of vitamin supplementation with at least a 4-year duration in secondary20,30 as well as primary18,39,40 prevention. In summary, results from WACS and other antioxidant trials have not found consistent preventive effects on CVD. Overall, we found no benefit on the primary combined end point for any of the antioxidant agents tested, alone or in combination. We also found no evidence for harm. While additional research into combinations of agents, particularly for stroke, may be of interest, widespread use of these individual agents for cardiovascular protection does not appear warranted. Correspondence: Nancy R. Cook, ScD, Division of Preventive Medicine, Brigham and Women's Hospital, 900 Commonwealth Ave E, Boston, MA 02215 (ncook@rics.bwh.harvard.edu). Accepted for Publication: April 5, 2007. Author Contributions: Dr Cook had full access to all the data in the study and takes responsibility for the integrity of the data and the accuracy of the data analysis. Study concept and design: Cook, Gaziano, Buring, and Manson. Acquisition of data: Albert, Gaziano, Zaharris, MacFadyen, Danielson, and Manson. Analysis and interpretation of data: Cook, Albert, Gaziano, and Manson. Drafting of the manuscript: Cook. Critical revision of the manuscript for important intellectual content: Cook, Albert, Gaziano, Zaharris, MacFadyen, Danielson, Buring, and Manson. Statistical analysis: Cook. Obtained funding: Albert, Gaziano, and Manson. Administrative, technical, and material support: Zaharris, MacFadyen, Danielson, and Manson. Study supervision: Gaziano, MacFadyen, Danielson, and Manson. Funding/Support: This study was supported by investigator-initiated grant HL47959 from the National Heart, Lung, and Blood Institute. Vitamin E and its placebo were supplied by Cognis Corporation (LaGrange, Illinois). All other agents and their placebos were supplied by BASF Corporation (Mount Olive, New Jersey). Pill packaging was provided by Cognis and BASF. Role of the Sponsors: Neither Cognis nor BASF provided any input into the design and conduct of the study; collection, management, analysis, and interpretation of the data; and preparation, review, or approval of the manuscript. Additional Contributions: Members of the Data Safety and Monitoring Board included L. Cohen, R. Collins, T. Colton, D. DeMets, I. C. Henderson, A. La Croix, R. Prentice, and N. Wenger (chair) and M. F. Cotch, F. Ferris, L. Friedman, P. Greenwald, N. Kurinij, M. Perloff, E. Schron, A. Zonderman (ex-officio members). We acknowledge the invaluable contributions of the WACS staff, including Marilyn Chown, Shamikhah Curry, Margarette Haubourg, Felicia Zangi, Tony Laurinaitis, Geneva McNair, Philomena Quinn, Harriet Samuelson, Ara Sarkissian, and Martin Van Denburgh. We also thank the end points reviewers, including Michelle Albert, Gavin Blake, Claudia Chae, Wendy Chen, Bill Christen, Carlos Kase, Tobias Kurth, I-Min Lee, Aruna Pradhan, Paul Ridker, Jackie Suk, and James Taylor. Finally, we are indebted to the 8171 dedicated WACS participants.